Today I went on a road trip with hubby and Miss 2. Hubby had a work appointment in Warkworth, so we decided to tag along too. 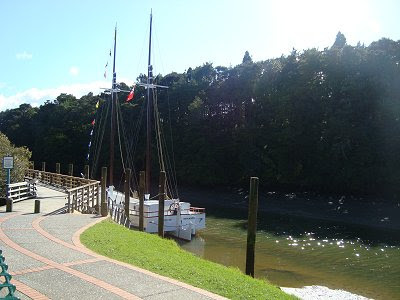 I do love Warkworth (New Zealand)... it has a great little park by the river, very cool cafes and I just recently learnt that it has the "Jane Gifford" permanently residing there in it's river (not that I'm at all into boats). It was built by my Scottish ancestors many many years ago (the Meiklejohns). Lesson number 1: Guys hate getting stuck behind trucks and other big slow things. On our way down we were stuck behind a tractor thing and had no way of passing it. You should have seen hubby... it was like our whole trip was wrecked. 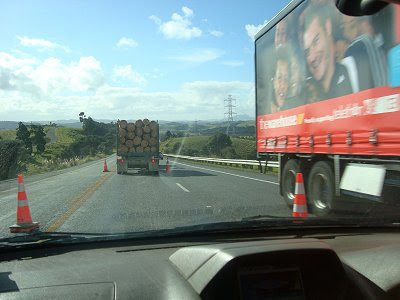 I personally enjoy the drive and view and don't even notice trucks and things, but apparently guys are always on the lookout - and then on the way home we were stuck behind another truck. Oh dear. Lesson number 2: Kids love parks. If you are going somewhere with a park, make sure you go everywhere else first. 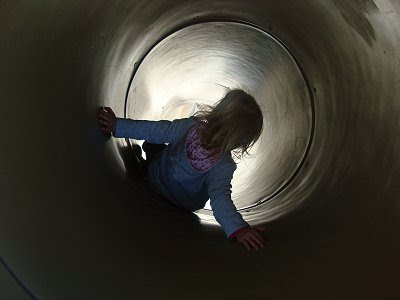 If you go to the park first, they will not want to ever leave... and you will spend your whole time in the park, or walking around with a child crying to go back to the park. 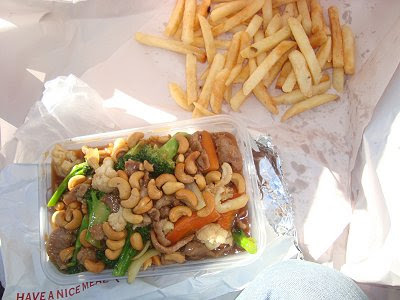 Lesson number 3: Ducks enjoy chips and Chinese food. 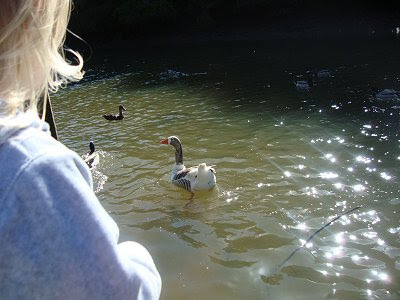 Yes it's true - they even enjoy cauliflower and broccoli... and little children love feeding ducks and noisy big geese. Lesson number 4: Guys talk more when doing something else at the same time... like driving. Now don't get me wrong here... hubby and I are are the type of couple who are constantly talking and hardly ever stop... but driving and talking is an excellent mix I think. When we first properly met we were in a car together on a youth group trip. We started talking about the music we loved and we just seemed to click... and today I found us again talking about music we love, using our bottles of drink as microphones, laughing... cars + guys = great conversations. Lesson number 5: You can overcome carsickness with practise. 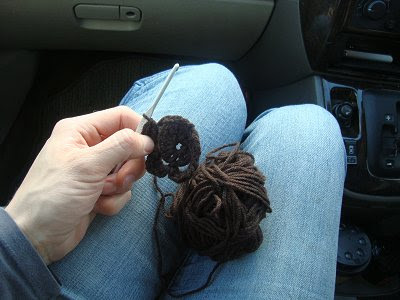 I discovered today (after crocheting in the car there and back) that I didn't at all feel car sick... hubby wisely told me that I had my 'sea-legs'... or maybe he should have said 'crochet-legs'. I was very excited to hear this... I didn't know that with practise you can overcome that woozy feeling. But there was one amazing moment when I was sitting by the river (while Miss 2 was happily playing in the park) and I felt totally relaxed and just enjoyed the beauty of God's creation... I watched the birds flying by, I gazed at the amazingly tall trees (and wondered at the fact that each of these came from a tiny seed) and I felt truly blessed at the fact that I live in this lovely land. Now I think that is a valuable road trip lesson. SO TRUE! All of those points! Mark and I talk and sing a lot.... but can also just enjoy being next to each other for more than 5 minutes! I love Warkworth... we had a bach at Snells Beach, so spent quite a bit of time in Warkworth... and the river was one of my favourite spots! 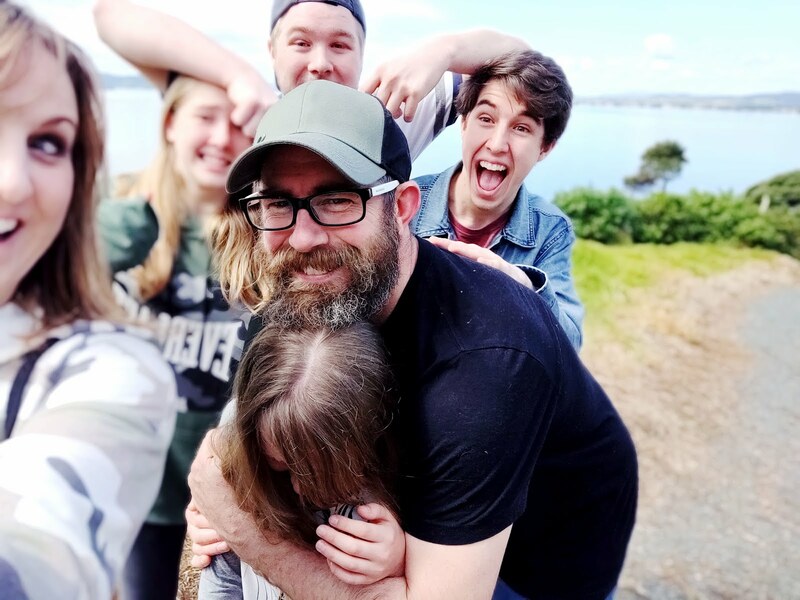 I am looking forward to seeing some of your lovely country when we come to NZ in September for 9 days! so true about men getting stuck behind 'Sunday drivers' as Joseph calls them. 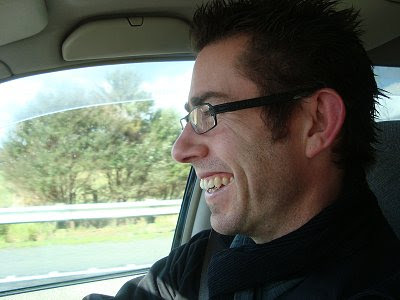 He spends the whole time swerving out to try and see if there is any on coming traffic so he can over take, I call it 'Edgy driving' and I'd much rather enjoy the view and the ride and not worry about getting there faster because most of the time there is no hurry! Your post is a blessing to me. I loved your point about not only realizing how blessed we are but our responsibility to bless others, spreading the love of Christ to others using all that He has blessed us with. Thanks for the reminder. 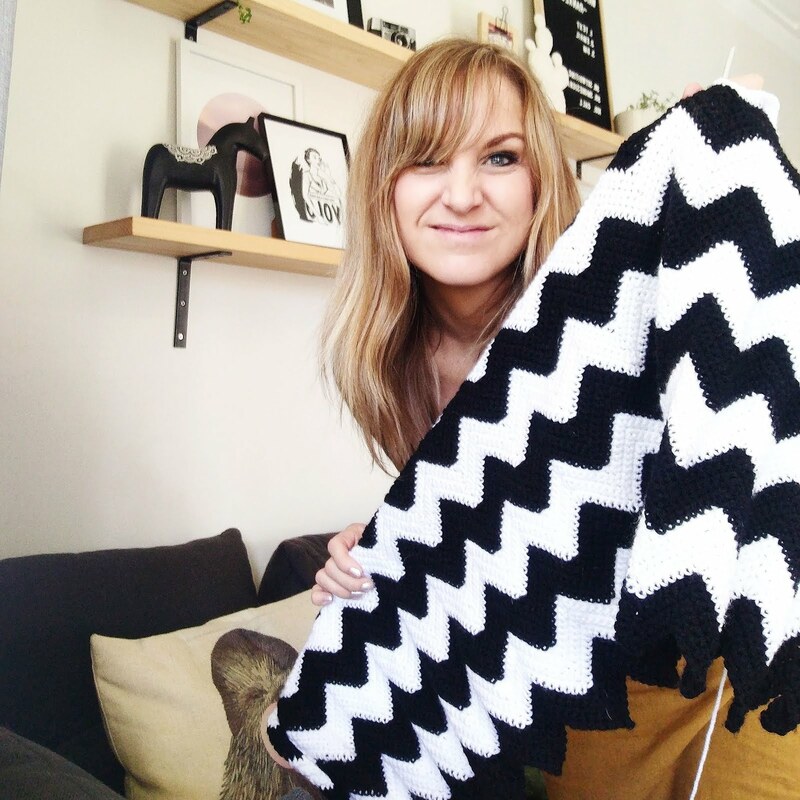 Love your crochet. I'm in the process of making a flower scarf!